We lead the way in career exploration for youth in Waterloo Region, connecting students, educators and employers to promote student success and community prosperity. Our programs for students in Grades 7 through 12 bridge the gap between school and work to help students explore careers, gain meaningful professional connections, and learn valuable job skills. Click here to learn more about becoming a volunteer with the Businesss & Education Partnership! Check out some of the amazing BEP volunteers that share their time and expertise with youth in Waterloo Region! 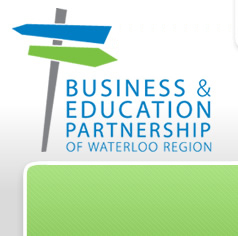 I have been a supporter of the Business and Education Partnership (BEP) of Waterloo Region for many years because I believe it is vital for our youth to be made aware of the vast array of career options available as well as learning what the business realities are so they can make an informed decision about their career choice and are better prepared for the world of work. Help more youth in Waterloo Region explore careers by donating today!